SnapCacklePop: Naughty Boy adds Beyoncé sparkle to his latest track..! Naughty Boy adds Beyoncé sparkle to his latest track..! 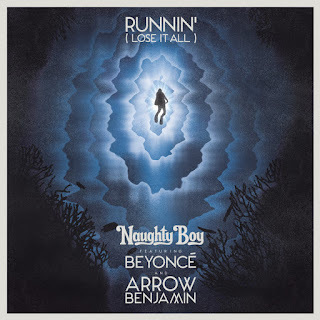 Naughty Boy releases new single Runnin’ (Lose it all) featuring Beyoncé and newcomer Arrow Benjamin, a multi-talented, south London singer/songwriter, who fuses gospel, pop and soul into his own unique sound. Working closely with his producer Sarah Tognazzi, and Forever pictures, Charlie, Guillaume and Julie travelled back to Rangoria in the South Pacific where ‘Ocean Gravity’ was filmed to create something truly special. “In order to achieve the effect we were after we had to film in the middle of a fast, deep and quite dangerous current through a lagoon, this gave us the forward momentum you see in the film. They didn't use tanks for air so everything you see in the film was done holding their breath, sometimes up to 6 minutes at a time. I still can’t quite believe how they do it. No CGI was used. The video stars Guillaume alongside fellow diver Alice Modolo and sees them acting out a metaphorical representation of love and fate. It shows how two people who are seemingly millions of miles apart can be drawn together. Our thoughts are very simple. A perfect track, bursting with talented artists that is going to be a smash world wide, well it should be. Get your copy on iTunes now..!